A long time ago, it seems, I could afford a cleaning lady. It was awesome. I had someone come in either once a week or every other week to help me with the heavy lifting. I loved the feeling of coming home to a clean smelling, dust-free house. That was months ago, maybe even a year ago. I can actually remember the very last time I had my house cleaned by someone else and it was around February 11. I remember because it was close to my 42nd birthday. I am not going to lie. I've said it before and I'm not embarrassed to say it. 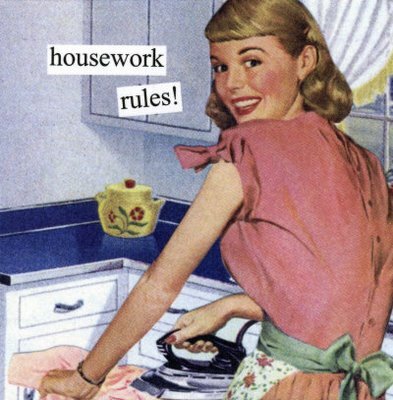 I hate housework. Not just a little. I mean I REALLY hate housework. I hate cleaning, washing dishes, doing laundry, folding clothes, ironing clothes. You name it and I will tell you I hate it. I'm much happier reading and writing. I hate gardening and anything yard related. I detest it. Of course I would love it if someone did all these things for me. I would love it if I had a cleaning lady again and had a professional landscaper come in and design my yard. I have such a huge yard that I could have a beautiful garden. I'd love it, but I don't have it. Back in May I blogged on my skirt! blog about getting un-unorganized. (if you read that blog you'll understand the why) It's July and I'm barely starting on this project. I keep saying I'm going to do it and I don't. This and that gets in the way. I get in my way. My anxiety gets in the way because I just get overwhelmed with the whole thing. Well this week I was finally able to somewhat overcome that overwhelmed feeling. I approached it by tackling one room per day. I started with the kitchen, then the dining room, the living room and now I have to tackle the hall and the restroom. I got to the point when I said enough is enough. I have to get myself organized in order to get on with my life. After the restroom I am going to start on the even bigger challenge of tackling my bedroom. My bedroom alone is a week long project. I have literally been letting this get in the way of my moving on with my life. I feel like if I can do this then I can move on. 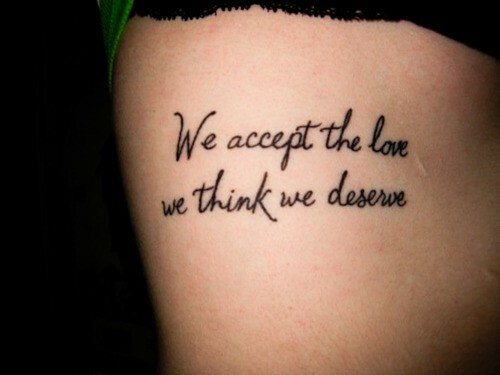 It's weird and it's a psychological thing I'm sure, but it is what it is. I have let this get bigger than me to the point that I don't even want to accept visitors. My house is a symbol of my failed marriage. I've always felt like that. It's not that my marriage fell apart because we never remodeled this house. It's that my marriage was like this house or, this house is an example of what my marriage was like. 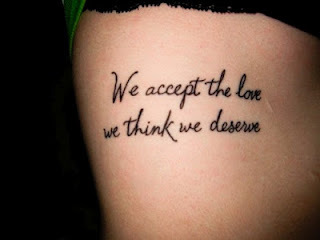 We could never fix it... We said we would but something always came up and we never did. We had a very "all or nothing" approach to it. It seemed like we either wanted to fix everything at once, or nothing at all. We couldn't tackle one project at a time. I was talking to my father about it this week and I told him that I really want to remodel this house on my own. I want to be able to say I did it and on my own. It will be the final self-therapy that I need. When I do this I will feel like I've truly moved on. Just one more! Yes, I forgot this one. Another favorite from the same ad campaign. Sorry, but I had to include it in the bunch. "The only person you are destined to become is the person YOU DECIDE to be." Such strong words! OK, not really THE last Nike Quote. I'm sure I will find other awesome ones I'll want to share. 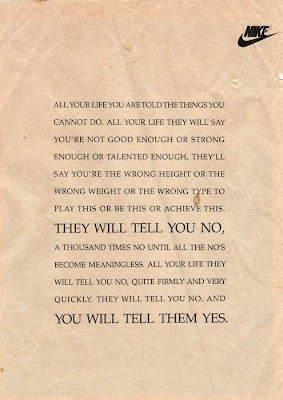 This is the last one I could find of the original print ads that I quoted in my very first blog post about Nike Quotes. I couldn't find the one that started, "You don't stand in front of a mirror before a run and wonder what the road will think of your outfit." I also couldn't find an image of the original Nike T-shirt that said, "I am woman, watch me score." I would have loved to have one of those. So here is the Barry Sanders quote ad. I had forgotten that the original ad had a picture of Marilyn Monroe, who many people don't realize wasn't a size 2. She had an hourglass figure and according to this one site, that sites sources, she was a size 14 top, size 6 waist but then a size 12 or 14 on the hips. Far from the skinny models and actresses of today and not your standard measurements but she was beautiful and looked perfect no doubt. 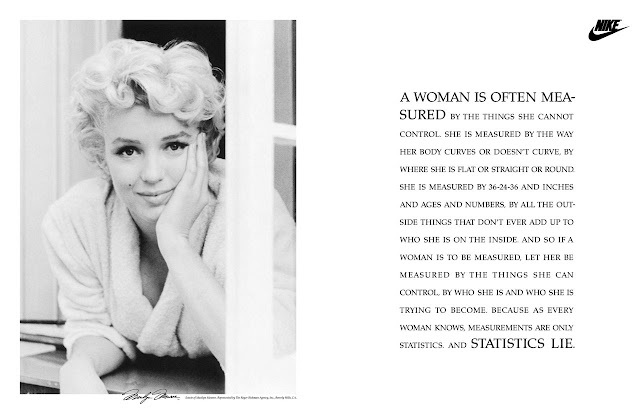 I love the line that says, "And so if a woman is to be measured, let her be measured by the things she can control, by who she is and who she is trying to become..." Once again, awesome ad copy! Thanks Nike for this campaign. I realized today that not only has it been a full week since I blogged, I've only blogged about Nike quotes lately. I guess I should blog about something different today. Like.... self discovery. I think I blog about that the least because I don't really want people knowing my business. Not that I don't at all. I do blog about my feelings a lot of times and even talked about my divorce when I was going through that. Image borrowed from this dating dos and donts site. So the other day I was posting a link about a restaurant review on Facebook. 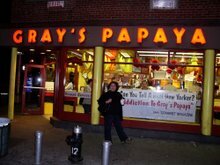 I mentioned that I used to go the restaurant and that it was a good place to go on a date. I immediately had people asking me if I was dating or starting to date. I think people had been wanting to ask me but were afraid to and now that I mentioned it they figured it was okay to ask. All I was doing was suggesting the place as a good date place. I found it very interesting how people took a sudden interest. I wanted to know what one friend in particular was thinking so I sent him a private message and told him that I wasn't dating, but I could if I wanted to. He immediately answered that he would have to see who he could introduce me to. I was flattered and touched that he was so willing to set me up with somebody. Not that I want for him to do that, but it was nice to know that my friends have my back if I need them in that department. Being single again has been an interesting journey so far. It's been eight months since the divorce. It's hard to believe that it's almost a year but it is. The truth is... I can't even imagine getting into another relationship at this point. I can't imagine going down that road again. Honestly, I can't think of anything that I miss that much about being married. You know how they say "nothing tastes as good as skinny feels?" Well, nothing tastes as good as freedom feels! If and when I do date again it's going to be a completely different approach. I found this quote on Pinterest. (yes my Pinterest addiction) I know that I deserve a lot and I will only accept the very best next time. How's that for self-discovery? Many of you really love this one. I know I do. 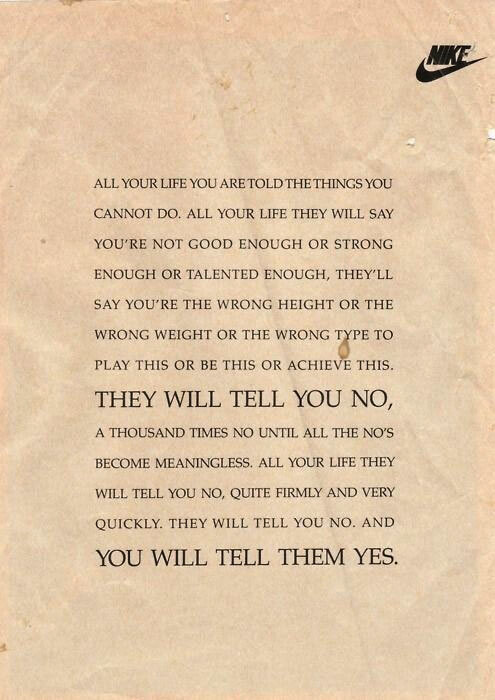 I especially love the very last line, "AND YOU WILL TELL THEM YES." 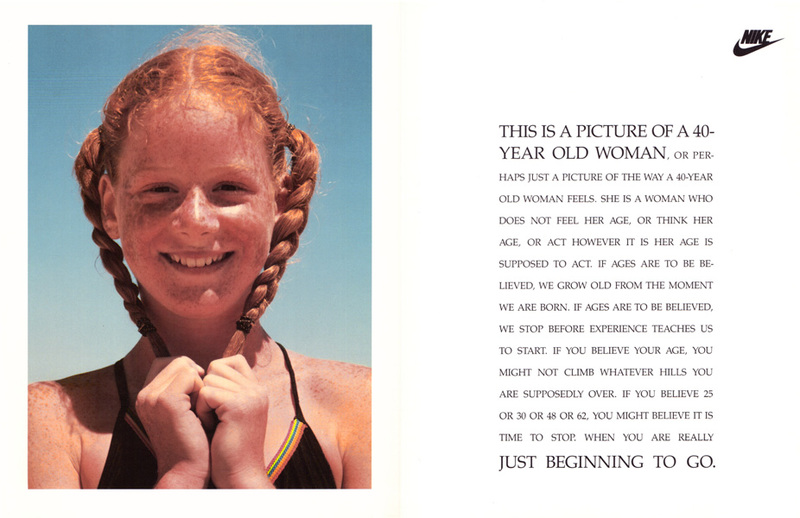 This ad was published in the 90s too. You can tell by the copywriting style. The chief copywriter of the ad campaigns of the 1990s and early 2000s was a woman named Janet Champ. I would love to get my hands on this original article from Advertising and Society Review, Volume 7, Issue 2, 2006. "Selling Truth: How Nike's Advertising to Women Claimed a Contested Reality." That is my next quest. Also, Janet Champ and her writing partner Charlotte Moore wrote a book called Ripe. I want to check that out too. 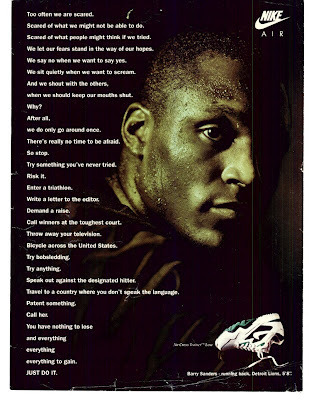 In my quest for finding old Nike ads I found this extremely awesome one. I figure that by the copy style it was written around the same time as the "A Woman is Often Measured" ad, which was published in 1994 when I was 24. In reading this ad, now that I am 42, I realize that when I first read it in my 20s it did not have the significance that it now has. I share this wonderful ad with you now. I know so many women will be able to relate. It reminds me of what my mom told me when she was in her '60s. She said that inside she still felt like a 16 year old girl. We may be in our 50s, 40s, or 30s now, but we are "just beginning to go."